Senior Grand Master Griffin studied martial arts for over 60 years with some of the most renowned martial artists in the world. As a result of those teachings, he was able to develop an eclectic style that is very well rounded, complete and unique. Senior Grand Master Griffin's approach to both training and self-defense includes the most effective components of all he studied and is incredibly affective for both self preservation and fitness. Senior Grand Master Griffin believed that every situation is different, whether it be a self defense situation or a general life issue and in order to be prepared for anything and everything, one needed a diverse cross section of skills to adapt and overcome whatever faces you. He would often use the analogy of fixing a car. “You never know what situation or problem you will face, so it is best to have a well-stocked toolbox and know how to use each one of the contents. You need the right tool for the job”. At our schools, those tools are provided in abundance. Out of the dangerous, rough and tumble streets of the Palama Settlement on the Hawaiian island of Oahu, grew one of the first Martial Arts America could call her own, the KAJUKENBO system of self-defense, created in 1947. Sijo Adriano D. Emperado, a Chinese-Filipino, living in Palama Settlement during the late 1940's, recognized that Americans were physically, a large people who fought with great ruggedness, and because of their big frame structure, were stronger than many of the other peoples of the world. Sijo Emperado felt the need for a street-effective system of self-defense that was tailored to their superior size and strength. He called the principles and techniques he came up with; KAJUKENBO - a hybrid system, blending five distinct styles with an emphasis on training for reality. The KA in KAJUKENBO stands for KARATE, or more specifically, for the Korean "TANG-SOO-DO" that "Peter Y.Y. Choo" introduced to EMPERADO'S new system. The JU in KAJUKENBO represents the Japanese JUDO of Joe Holck, and the Japanese JU-JITSU of Frank Ordonez that were incorporated into KAJUKENBO. The KEN in KAJUKENBO is Sijo Emperado's own extensive KENPO training, from which KAJUKENBO is chiefly derived. The BO in KAJUKENBO stands for the Chinese Boxing (Chuan-Fa Kung-Fu), that Clarence Chang added to the system. In today's KAJUKENBO this has also come to represent American Boxing, and Kick-Boxing. Although several people contributed to the system, it was Sijo Emperado who developed the techniques, tied the loose ends together, and opened the first school in the art, in Palama Settlement, the "Kajukenbo Self Defense Institute" of Hawaii. In 1949, Sijo Emperado started the KAJUKENBO Black Belt Society. Sijo Emperado certainly wasn't lacking in credentials, he had received his 5th Degree Black Belt in KENPO from "Professor William K.S. Chow", and earned his Instructor's Certificate from "Great Grand Master James M. Mitose", the 21st Generation Head of his family's art of Japanese KOSHO-RYU KENPO. Another great martial artist who comes from this lineage of great instructors is the founder of American Kenpo, Grand Master Ed Parker. Training at Sijo Emperado's school was not for the weak at heart, or body for that matter. Because of KAJUKENBO's emphasis on street reality, full-contact self-defense training was the order of the day. Pulled punches were unheard of. Protective padding was not allowed (protective gloves, foot pads, chest guards, and head shields were not around yet). Broken noses, arms and teeth were common place. Knockouts were an everyday occurrence. The training was so violent, many students couldn't take it, and were ordered to leave. Those who stuck it out and were able to attain the rank of Black-Belt felt a strong sense of pride in knowing that their training was as close to reality as any martial art could possibly get. 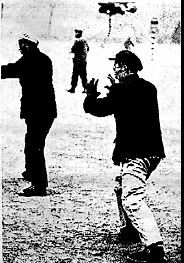 In 1959, Sijo Emperado initiated a major change in the KAJUKENBO system, incorporating the Chinese Chuan-Fa, or Fist Style, which redirected the emphasis of the self-defense art from primarily a Hard Style to a combination of Hard and Soft. This brought about more of a well-rounded fighting art, stressing Simplicity and Practicality in Self-Defense. It was still representative of a strong Street Style, yet contained the Ideals and Philosophies of Soft Styles in its' flowing, repetitive, combination techniques. Sijo Emperado went so far as to break KAJUKENBO down philosophically (KA - Long Life, JU - Happiness, KEN - Fist, BO - Style or Way) and developed a meaning for his self defense art; "Through This Fist Style, One Gains Long Life and Happiness". For years the system was taught and practiced behind closed doors to only a select few, and was developed to such that the KAJUKENBO students were banned from competition in traditional Karate Tournaments due to their intense training in strictly real life situations, and not as a game or sport. KAJUKENBO students found it very difficult to control their techniques and stop them short. They seemed to other traditional Karate Practitioners to have no control, and the injuries to their students (opponents) were too great and too often. Today's KAJUKENBO Instructors have gotten away from the secrecy, and have incorporated tournament and sporting aspects as a part of their training, so as to give their students the opportunity to compete in traditional Karate Tournaments. KAJUKENBO students today can be found competing in various types of martial arts competitions to include; Karate, Judo, Boxing, Kick-Boxing, and Grappling. We believe our system is the best, because we have the best of every system. Note: Content of this page has been authenticated by Sijo Emperado. This copy is certified by the KSDI as authentic and true. The word judo consists of two Japanese characters, ju, which means "gentle", and do, which means "the way". Judo, therefore, literally means the way of gentleness. The techniques of judo are based on giving rather than fighting back. It is this principle of gentleness, or yawara (which is the same character as the ju in judo), on which all judo techniques are based. In its totality, it is a wonderful system of physical, intellectual, and moral education. Judo has its own culture, systems, heritage, customs, and traditions. Moreover, the principles of gentleness are carried from the practice mats and into most students' lives, in their interactions with their friends, family, work colleagues, and even strangers. Judo gives its students a code of ethics, a way of living, and a way of being. In terms of sheer numbers of participants, judo is the second most popular sport of any sport, soccer being number one. In terms of national organizations worldwide, judo is the largest sport in the world, with the greatest number of member nations in the International Judo Federation, or IJF. It is a part of the physical education systems of many countries, and practiced in local clubs, junior high and high schools, colleges, regional and national training centers, and in many other areas in this country and across the world. Millions have discovered the spectacular enriching sport, and way of life, we know of as judo. Judo is a tremendous and dynamic combat sport that demands both physical prowess and great mental discipline. From a standing position, it involves techniques that allow you to lift and throw your opponents onto their backs. On the ground, it includes techniques that allow you to pin your opponents down to the ground, control them, and apply various choke holds or joint locks until submission. Vee Jitsu is the signature name given to the style of Ju Jitsu, developed by Florendo Visitacion better known as Professor Vee. It is a truly efficient, dynamic, and brutal fighting art with an emphasis on street self-defense. It combines the strikes, joint locks, breaks, throws, rolls, falls, come alongs, and ground movements including grappling taken from Judo/Ju Jitsu. Vee Jitsu being a street savvy style incorporates techniques such as groin kicks, biting, pinching, and eye gouging. To further enhance and improve the system, Prof. Vee devised a series of fifteen two-person short forms called "Vee Jistu Te's". This is the core of the Vee Jitsu system, with multiple variations to each of the fifteen forms. What this does is give a student endless responses to self-defense situations. In order to prepare for the realities of street confrontations, students are rigorously drilled in class. They are paired with different people with heights and weights that vary. An individual now has a precise understanding of what will work against larger or smaller opponents in a given situation. The powerful weapons and empty-hand martial art of Arnis makes up the second major component of Vee Arnis Jitsu. Basics of this Filipino art are taught to students in the form of the "Fifteen Dimensions" and "Patterns-of-Twelve" drills. Arnis is taught in Vee Arnis Jitsu, and is based on Cinco Terro or Five Angles of Attack. Cinco Terro is the most effective form of attack and defense known in Arnis, compared to other forms such as Dos Manos, Ocho-Ocho, or Carrenza in different systems of Arnis. It gives students a very easy and effective means of defending themselves. Sinawali drills are also included within the curriculum. Footwork drills such as Paqua Circular stepping, forward and backward motion, and "V and X stepping" movements are taught to students as well. The use of single and double sticks is thoroughly drilled with a variety of different hand positions and grips. The art of knife fighting is taught right along side with the stick training. Knife weapons training places great emphasis on rapid continuous repetition of the "Cinco Terro" and other striking drills as a means of developing speed and mobility. In addition, hand to eye coordination and timing are improved. Various attacks, defenses, grips, and body movements are taught with the knife. Kuntao which is a subsystem taught within or along side of Arnis teaches the use of low-line kicks and leg destructions. Arnis is believed to be a weapons only art, but in Vee Arnis Jitsu students are fully trained in empty hand techniques using: hands, fingers, elbows, knees, feet, and the head. Concepts such as High-Low, Faking, and Bouncing are also used. Most importantly students are taught to master the movements of the weapons, not just the stick and knife itself. To round out the Arnis program, students are allowed to spar full contact using single and double sticks including practice knives. Full protection in the form of helmets, body armor, forearm, and hand protection are always used. Students are given the ability to fully practice techniques with power and precision. Tai Chi (Tie-Chee) is an ancient Chinese system of slowly flowing movements and shifts of balance that strengthens the legs while conditioning the tendons and ligaments of the ankles, knees, and hips, increasing their range of motion and making them more resilient, less prone to injury. The constant weight shifts train balance and body awareness, leading to confident ease of movement within the form and in everyday life. Tai Chi is a physical exercise that focuses the mind, while conditioning the body. Practicing twenty minutes a day dissipates stress and reduces stress-related debilities, increases stamina, and strengthens the body and will. 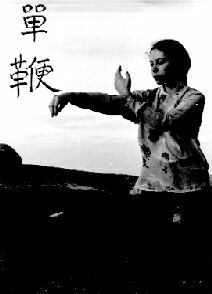 It is believed that Tai Chi increases strength and promotes calm and harmony by improving the flow of internal energy (or qi) throughout the body. It is the calming, meditative aspect of Tai Chi that makes it particularly useful for reducing stress and anxiety. Indeed, people who do Tai Chi regularly say that it improves their sense of well-being. As an aerobic exercise, Tai Chi benefits the entire body, increasing muscle strength and enhancing balance and flexibility. Tai Chi can be used as a preventive health measure, as a way to maintain good health, or to help with a specific ailment. While Tai Chi cannot cure disease, it is often recommended as a complementary therapy to conventional treatment. For hundreds of years, groups of Chinese people, many of them elderly, have performed its fluid, graceful movements in parks throughout China as a way of staying vital. Today, many people in the United States, Canada, and Europe have become interested in attaining the health benefits of this ancient art as well. At Griffin’s studios, you will learn Tai Chi in a class setting. Private lessons are available upon request. You do not need special clothing although traditional uniforms are available. Wear something you will be comfortable moving around in and that covers the body adequately. A T-shirt along with cotton sweatpants are the minimum. Tai Chi can be done in shoes, socks or bare feet. Sessions typically start with some sort of meditation to calm and focus the mind, followed by easy warm-up exercises to get the blood circulating. This helps you relax your mind and body in an effort to center yourself. Deep breathing (from the diaphragm as opposed to the chest) is a key element of Tai Chi. Over time, you will learn to coordinate your breathing with each movement you make. After the warm-up, your instructor will teach a series of very slow flowing movements that performed together constitute a "form." Forms are a prearranged set of movements that reflect animal movements and have names like "Crane Spreads Its Wings" and "Grasping the Bird's Tail." 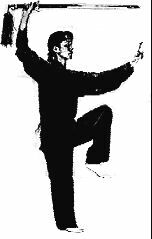 We teach the Yang style Tai Chi, the most widely taught style.